Bhí an Chomórtas Lúthchleasaíocht Bunscoile ar siúl ar an gCéadaoin 17ú Deireadh Fómhair sa ráschúrsa i dTobair Phádraig. Ghlac 66 dalta ón Modhscoil páirt. Bhí an ghrian ag spalpadh anuas orainn agus bhain gach éinne fíor-thaitneamh as an lá. D’éirigh go han-mhaith lenár lúthchleasaithe óga agus mhol na tuismitheoirí agus múinteoirí a bhí ann an spiorad, meon aigne agus dea-iompar a bhí ag daltaí na Modhscoile inniu. Míle buíochas le Varena Tarpey a d’eagraigh é agus na tuismitheoirí agus múinteoirí a chabhraigh léi. Comhghairdeas leis na buaiteoirí agus gach dúine a ghlac páirt! 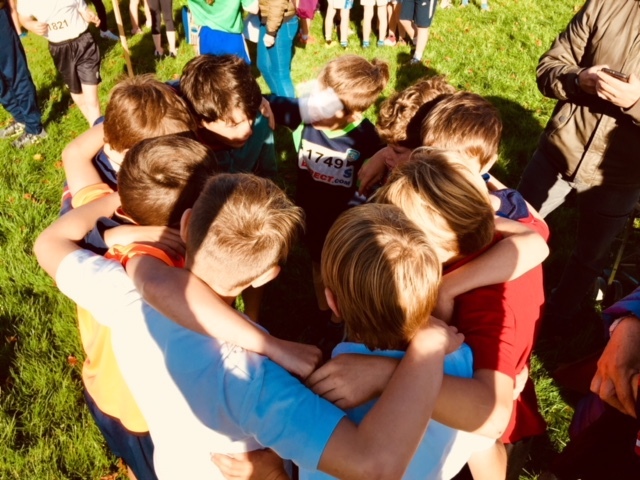 The Primary Schools Athletics were held on Wednesday 17th October in the racecourse in Patrickswell. 66 pupils from An Mhodhscoil took part. The sun was shining down on us and everybody enjoyed the day. Our young athletes did very well and the parents and teachers who accompanied them praised their spirit, mindset and good behaviour. Many thanks to Varena Tarpey who co-ordinated An Mhodhscoil’s participation in the event. Thank you also to the parents and teachers who helped out. Congratulations to the winners and to all those who took part!